*With approved credit. Estimated monthly payment based on $5,120 down, 72 months at 5.9% APR. Scores 47 Highway MPG and 47 City MPG! 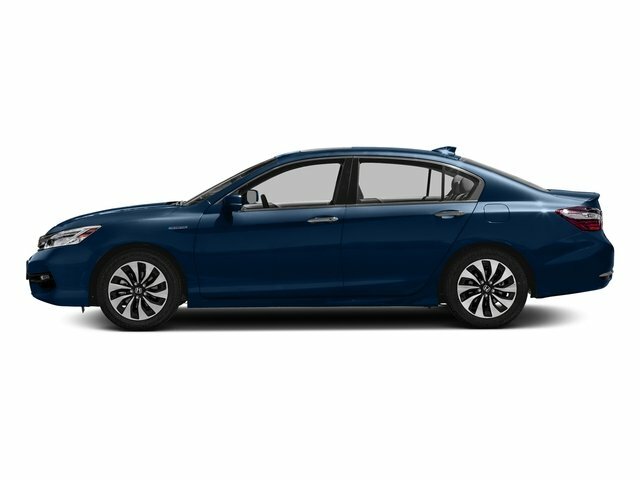 This Honda Accord Hybrid boasts a Gas/Electric I-4 2.0 L/122 engine powering this Variable transmission. Wheels: 17" Machine-Finished Alloy, VSA Electronic Stability Control (ESC), Vinyl Door Trim Insert. Valet Function, Trunk Rear Cargo Access, Trip computer, Transmission: Electronic Continuously Variable -inc: (E-CVT) w/sport mode and deceleration selectors, Tires: 225/50R17 94V AS, Systems Monitor, Strut Front Suspension w/Coil Springs, Speed Sensitive Variable Intermittent Wipers, Spare Tire Mobility Kit, Single stainless steel exhaust.